National Check and Currency is thrilled to welcome former Federal Agent Mark Ochab as our new Director of Banking Services and MSB compliance. Mark’s extensive background investigating financial crimes for the Department of Homeland Security will give our money service business clients unparalleled transparency and advanced early fraud detection capabilities. Our banks and financial partners will benefit from Mark’s insider perspective on MSB compliance and fraud. In turn, our MSB clients will enjoy consistent banking relationships. Mark began his career at the local law enforcement level as a Deputy Sheriff and Task Force Agent for Lake County and Orange County Florida. After nearly 9 years in law enforcement, Mark transitioned to the private sector and worked as a consultant to develop a banking compliance program for an international Mergers and Acquisitions company. In 2007, Mark returned to the public sector to join the US Department of Homeland Security as a Fraud Investigator. Most recently, Mark worked as a Special Agent for the US Department of Homeland Security, Financial Investigations Group, where he coordinated complex cross-agency investigations and played a key role in solving international financial crimes. In this role, Mark successfully investigated transnational money laundering organizations, coordinated investigative activities with the United States Department of Treasury, Office of Foreign Asset Control and served as the lead investigator responsible for the repatriation of over $1 Billion US Dollars annually. Mark’s extensive experience investigating financial crimes and managing cross-agency teams gives him unparalleled insight into the complexity of MSB banking and compliance. As the Director of Banking, Mark will be managing NCC’s MSB financial services relationships. This position was created to support the growth NCC has experienced over the past 10 years serving the money service business industry. 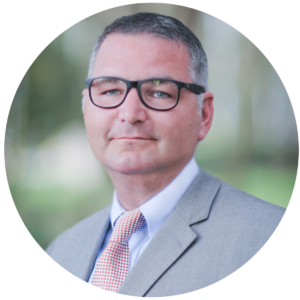 In total, Mark has over 20 years of experience in local and federal law enforcement agencies, specializing in the financial services and banking sector. Specifically,Mark has considerable experience investigating Bank Secrecy Act violations and knowledge of United States Titles 18 and 31. Mark’s pervasive knowledge of and certifications in the field of financial crimes and regulation brings valuable expertise to our MSB banking clients. Mark’s experience as a Special Agent investigating financial crimes will strengthen and expand NCC’s banking partnerships to meet a growing demand for transparency in the money service industry. NCC’s record of hiring experienced law enforcement professionals shows our unwavering commitment to MSB compliance and transparency. NCC is committed to providing redundant banking relationships to keep money service businesses up and running. In addition to reliable banking partnerships, our clients enjoy accelerate rotation of their working capital, which allows them to manage their business on less working capital, reducing or eliminating the need for lending lines or uncollected interest charges. Amidst increasing regulation, NCC is a bright spot in the MSB industry. Together, we can help you build your money service business, stay compliant, and enjoy uninterrupted operation. Learn more about our MSB bank accounts and exclusive services.